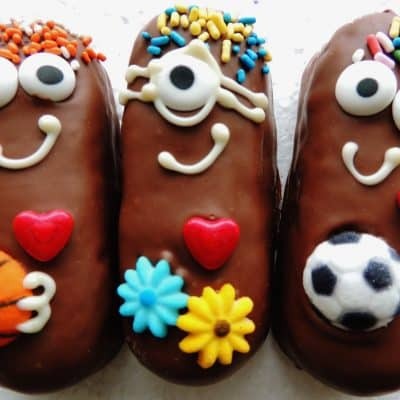 Snack chocolate is fun from the start! 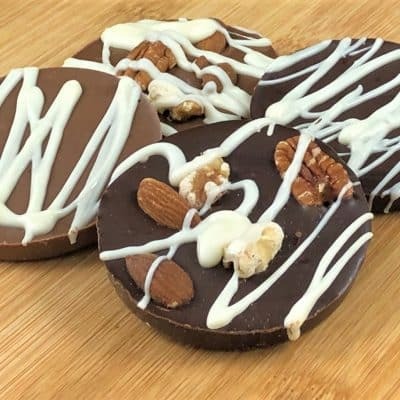 But don’t let the small size fool you – these are made with the same gourmet chocolate as our signature Chocolate Pizza and that’s what makes them so darn delicious. 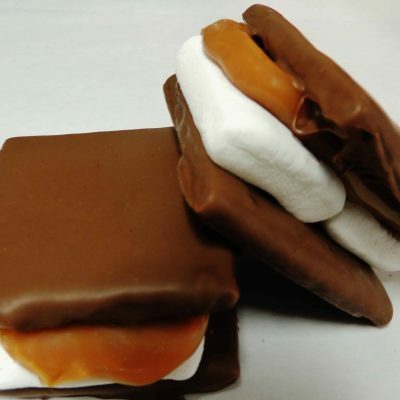 We use quality ingredients, add a bunch of creativity and presto – snack chocolate favorites! 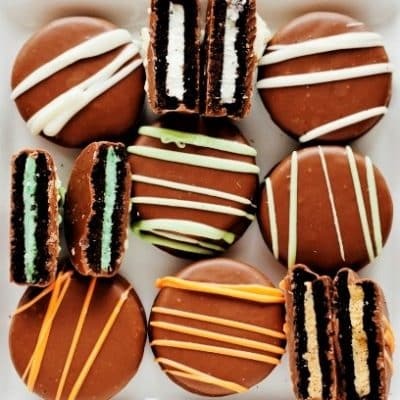 All of these bite-sized treats are big on taste. 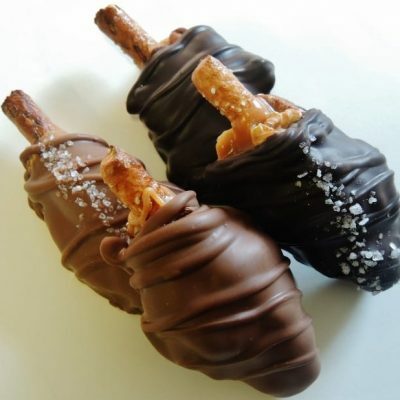 The Caramel & Nut Drumstick has been a top-seller for years – 4 inch salted pretzel rod dipped in caramel, rolled in nuts and drenched in chocolate. 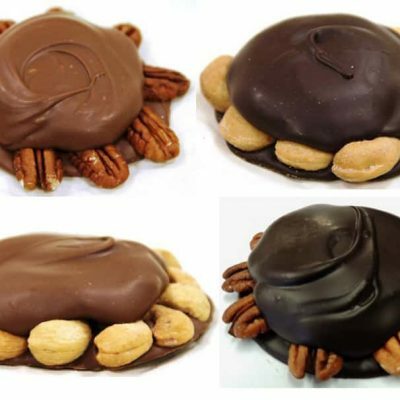 Moompas are a Chocolate Pizza Company exclusive. 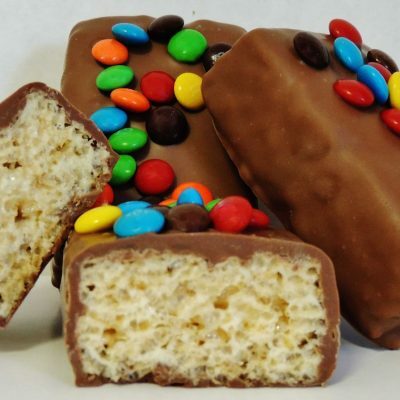 It’s the golden cream-filled sponge cake you grew up on covered in milk chocolate and hand-decorated to give each one a unique personality. 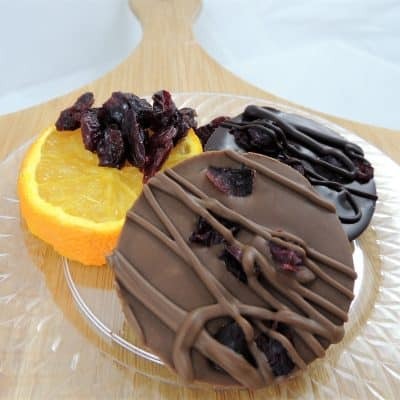 Or choose our chocolate covered cookies. 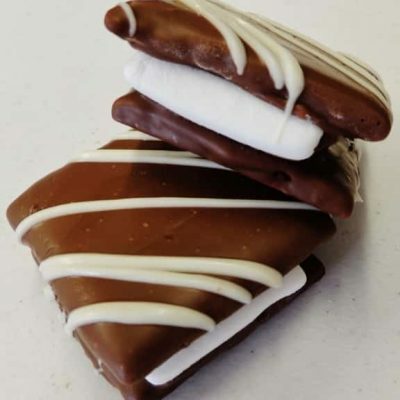 America’s favorite creme-filled cookie is dipped in chocolate for an even more delicious bite. There are no wrong choices in this selection – every snack chocolate treat is a winner. Enjoy!